Children are especially drawn to my farmer's market paper craft display. Several have asked, "Did you make all these?" 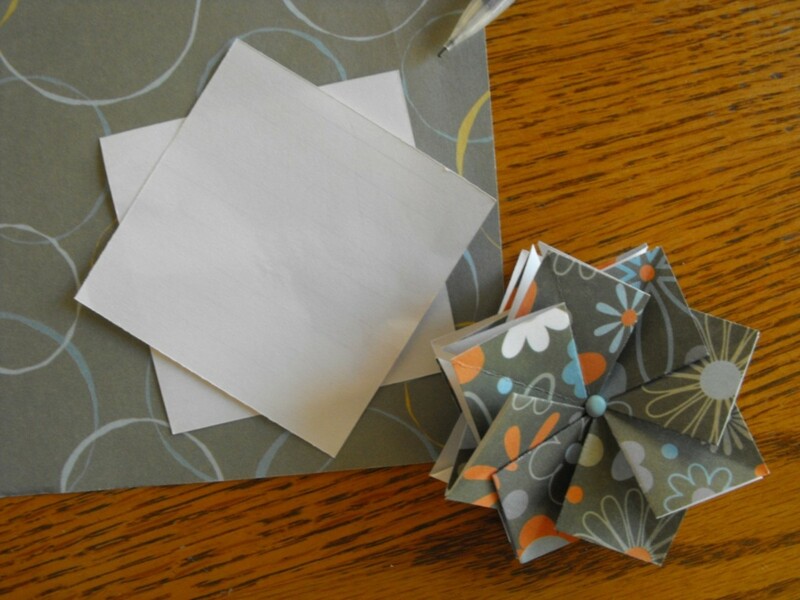 Tea bag folding is fun and young people will enjoy learning and giving these paper crafts to friends and relatives. 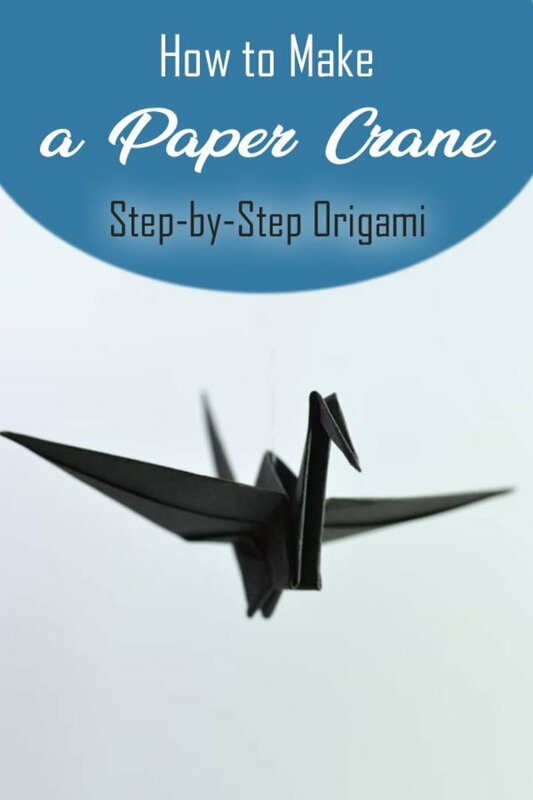 The fold in this lesson is a simple origami square base. I will show you how the completed medallion can be used for birthday or thank-you cards. Make four cards and keep them in a box and use when needed. 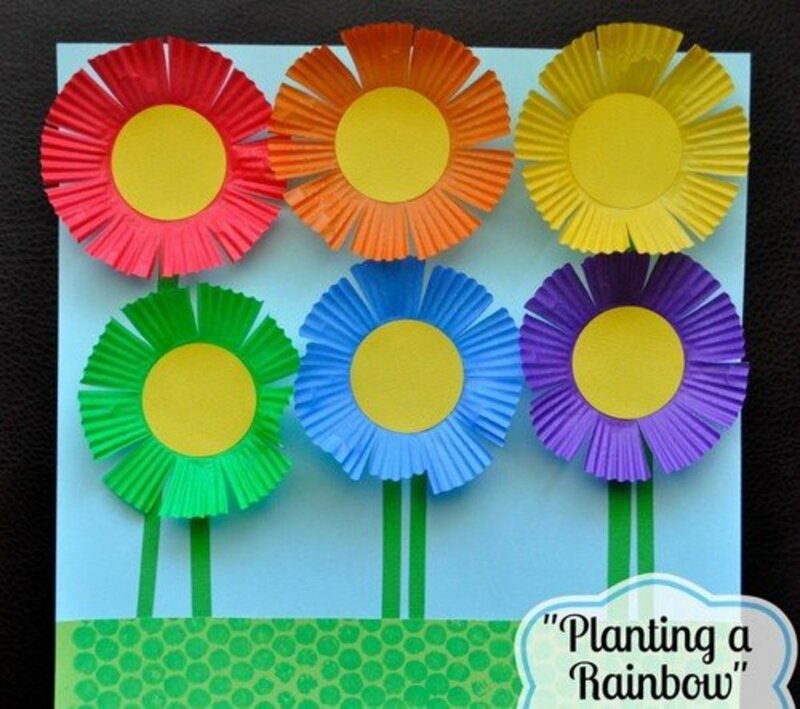 Enjoy this craft and the time spent with children in your household or classroom! 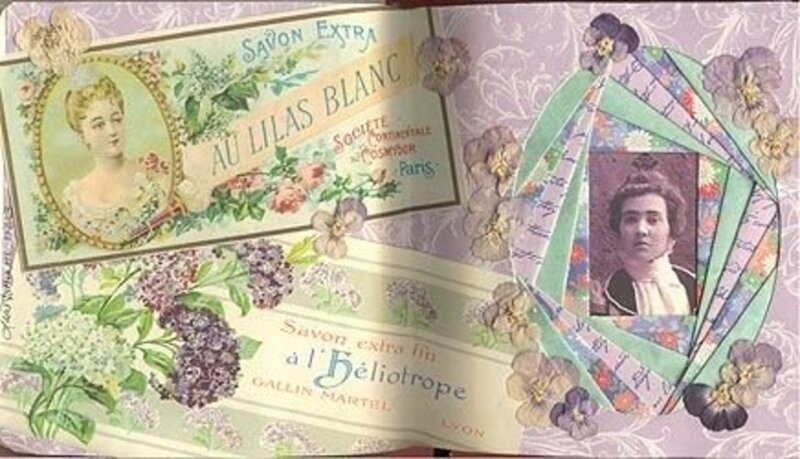 If you are a scrapbooker and have coordinating papers you can check your collection. 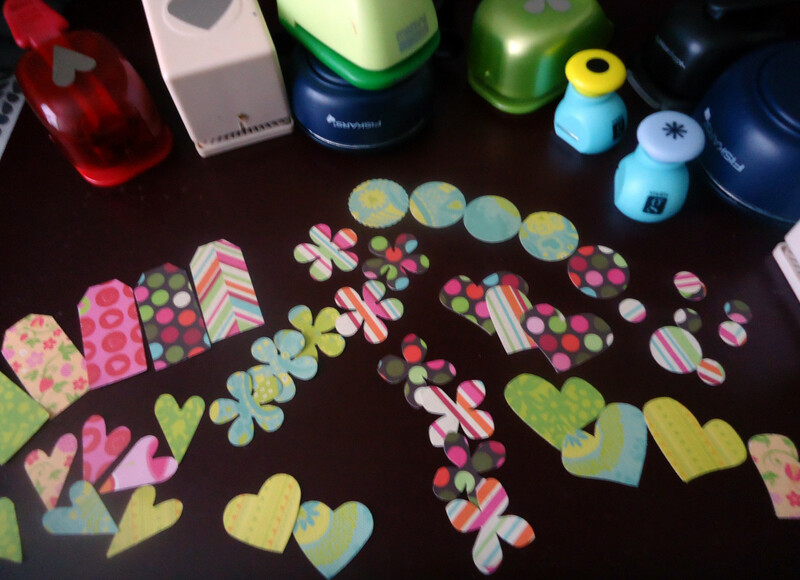 Or make a trip to your favorite scrapbooking store with the young crafter and choose new prints and colors. 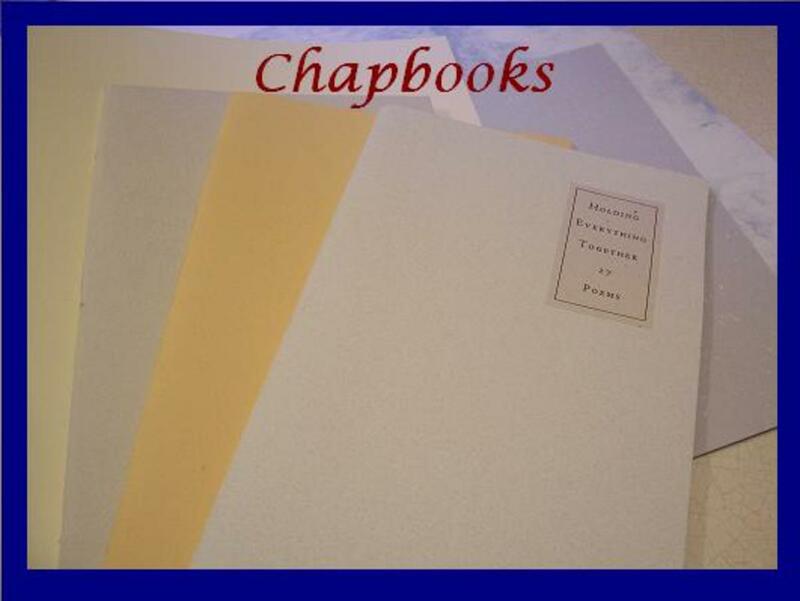 Look for one sheet of 12 x 12" paper of the thinner paper stock with an over all pattern. 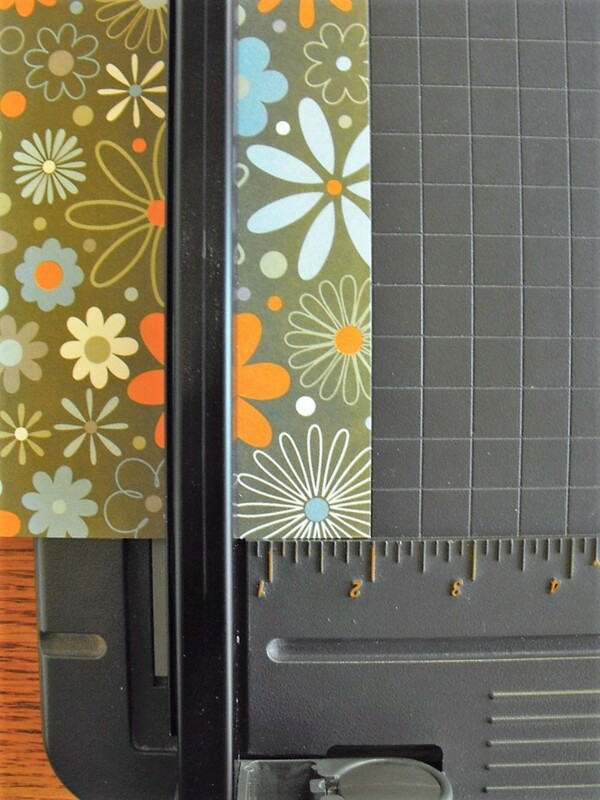 Find a coordinating 12 x 12" sheet that can be used as background embellishment. Note: Do not purchase the new stiff card stock scrapbooking papers. They usually are the selections that cost more. It is too thick to get a nice crease for the folds. 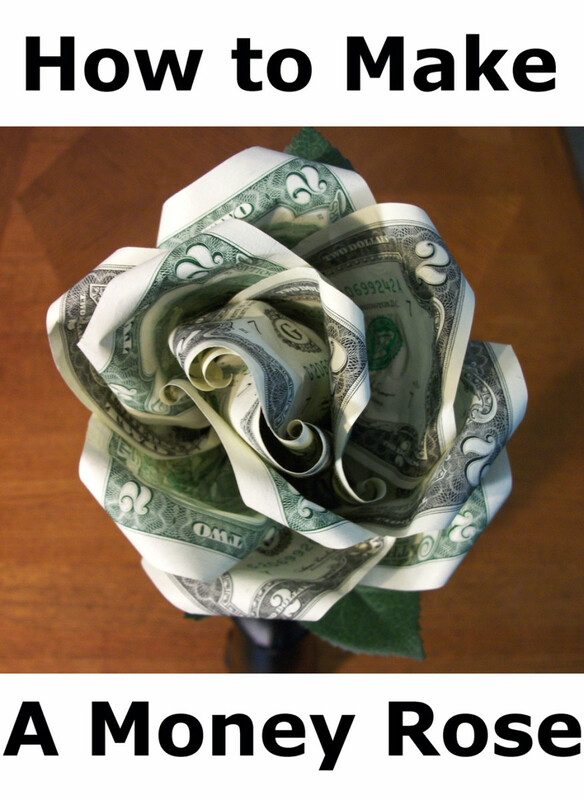 I will be folding the brighter flowered paper to the far right. The others will be background accents. 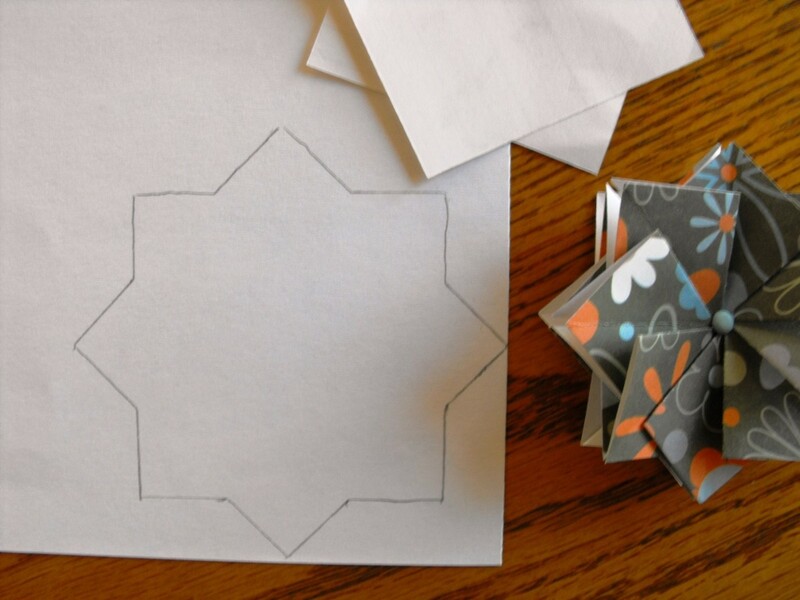 For teachers on a budget: one sheet of 12 x 12 paper will make 4 medallions. 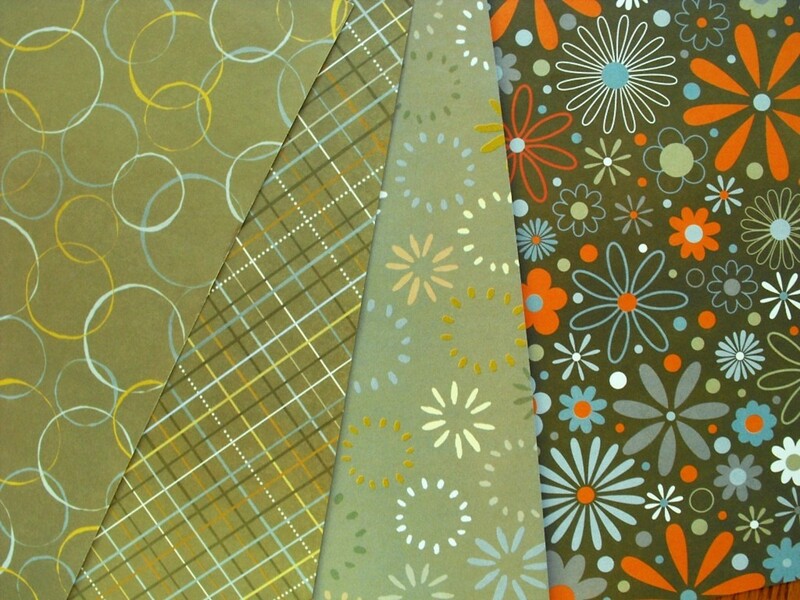 Two sheets of coordinating 12 x 12 inch scrapbooking paper. Two sheets of coordinating 8 1/2 x 11 inch card stock to be cut in half for 4 cards. Take the 12 x 12" sheet that has been selected for the folded medallions and cut into 2 inch strips. Now cut the strips into 2 inch squares or tiles. You will have 36 tiles to use for four medallions. Each finished medallion takes 8 tiles. Each medallion will take 8 tiles. 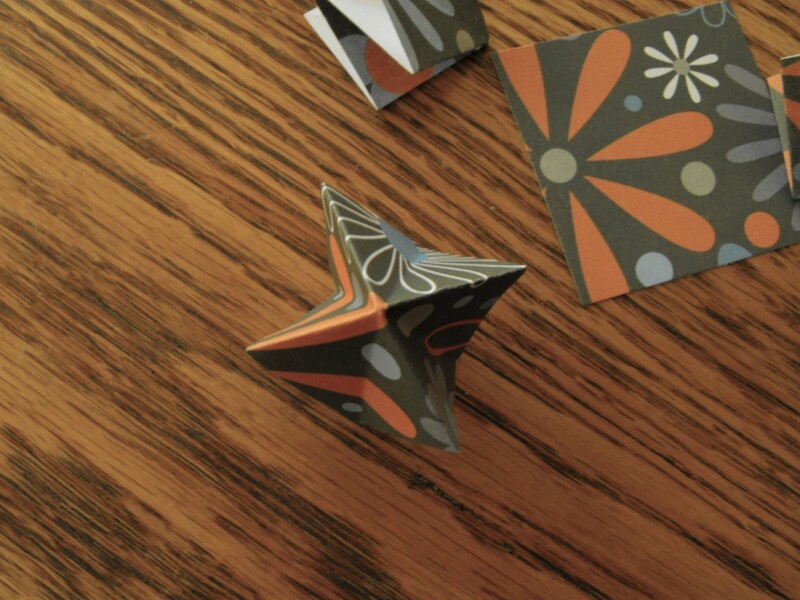 You fold each tile side to side and corner to corner. Then use the index fingers to fold in two creases to get a layered square. The following video shows the simple process. Gluing the medallion together is shown in the following videos. Part One is getting it started and Part Two is finishing it. 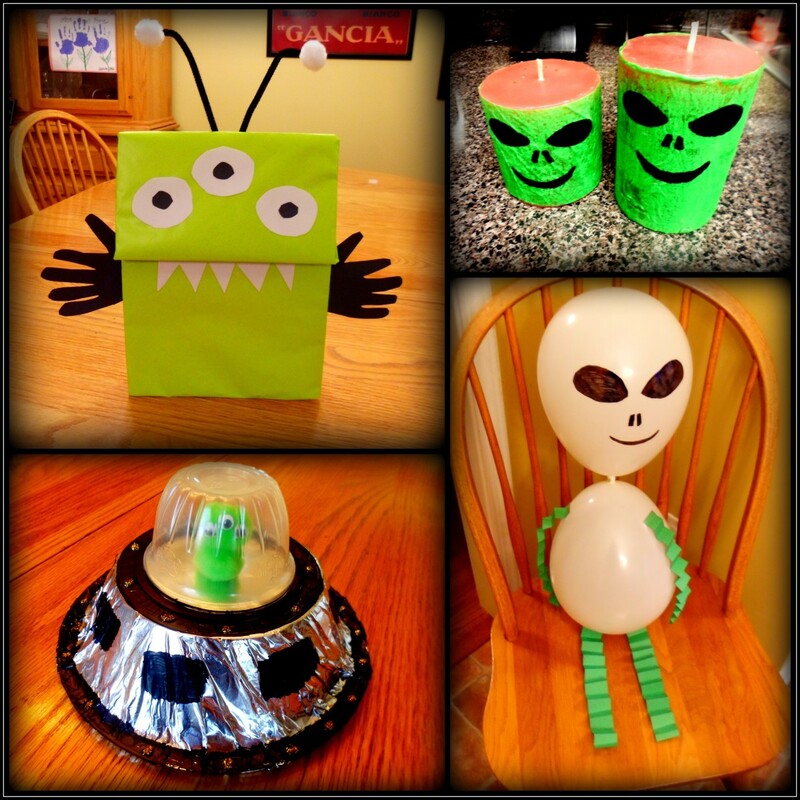 The purchased craft blank card is easy and perfect for the kids. These medallions will fit on 4.25 x 5.5" A2 and 5 x 7 inch cards. Create squares, rectangles and circles for backgrounds. 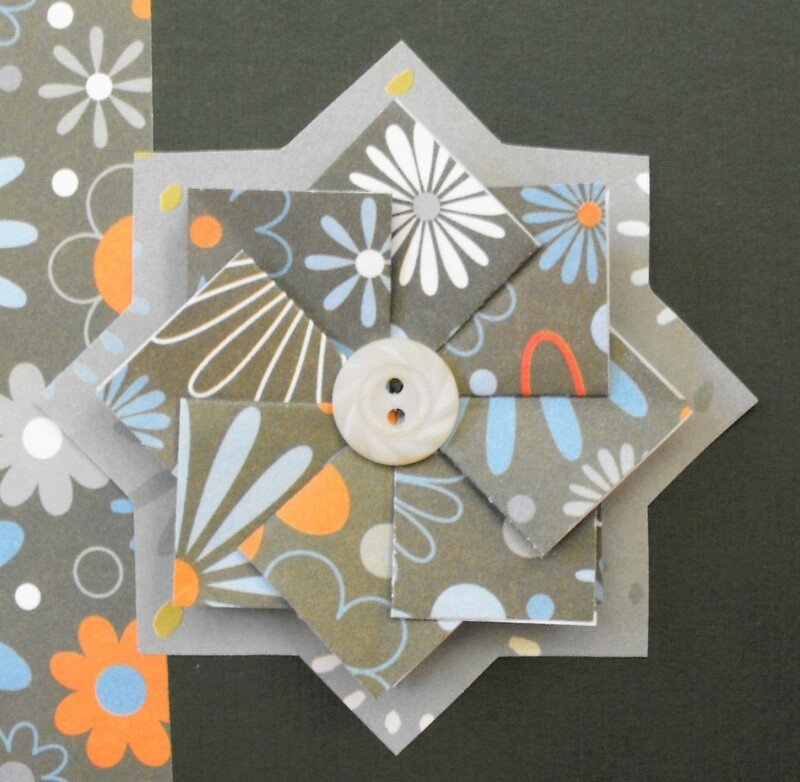 Or make an easy star to use as a background for the medallion or paper rosette. To make a star cut two 3.5 inch squares from scrap paper. Line them up with the top square turned a quarter turn and glue it down. Trace your stars on the back of the paper you want to accent the medallion with. Make various backgrounds for the medallions. 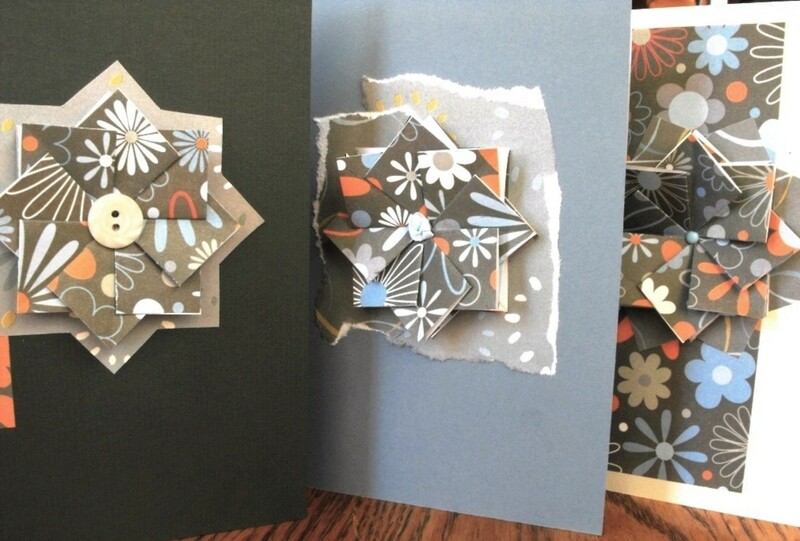 Use background stars, tear the paper, use strips and fancy edged scissors. For the center mini brads are easy and cute. A loose double knot of skinny ribbon is my most used accent. Mount buttons and beads, tying on fish line and double knotting. 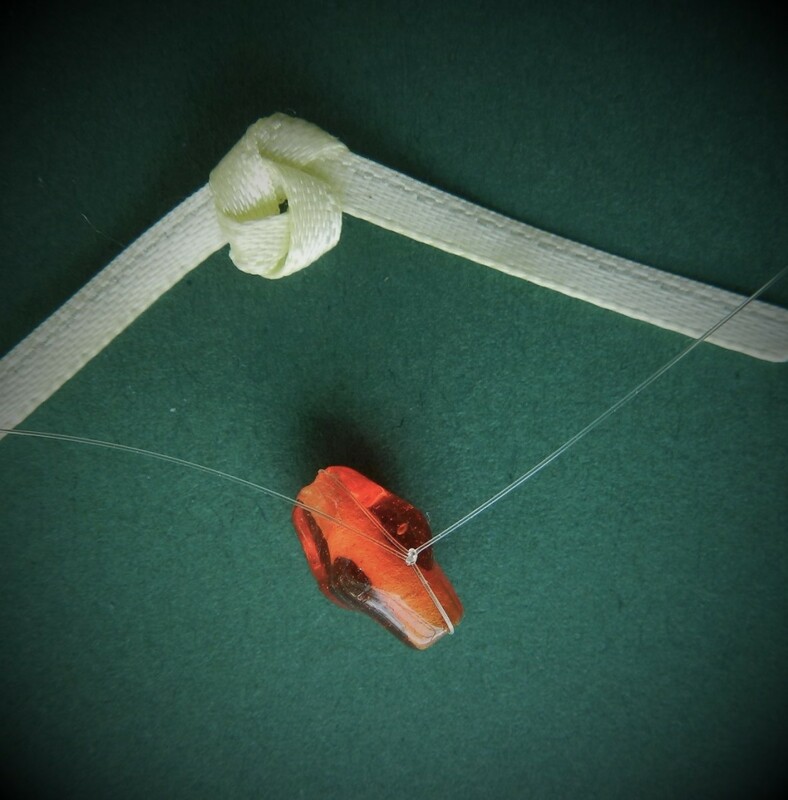 The ends of the knot or fish line are brought through the center hole and glued down between the back folds. 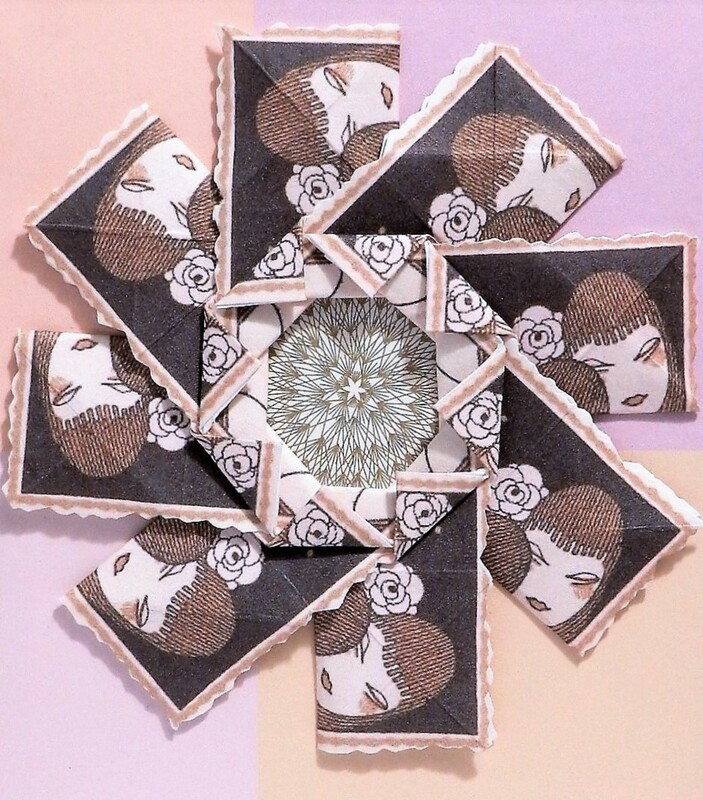 Photo squares to mount the embellishments onto the card will prevent a winkled spot on the inside of the card. Color, motif, style is your choice with this simple handmade greeting. Bring out the crafts and spend time with young people you know. I had fun with a daughter making the videos. Have Questions About This How-To? Nicely-done site. I've seen examples of tea bag folding, and now I have good directions. I'll be sure to Pin it. Seriously, awesome tutorial and instructions.